Lift Ticket Packages for Mt. Shasta Ski Park! Enter your email on any of our pages to receive specials that include lift tickets for two weekend nights! Winter Specials – Adventure with Snow or No Snow. You choose. • 20% off for three or more nights. 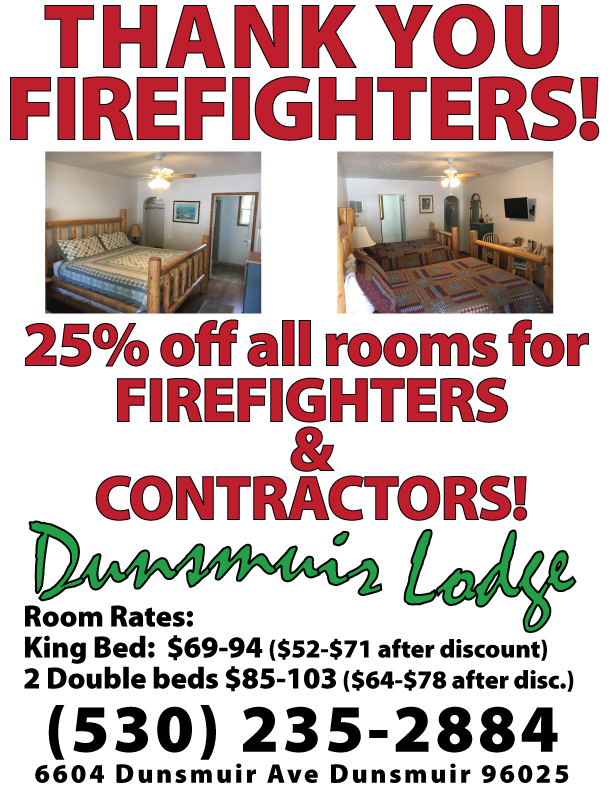 Use your savings to rent ski equipment, or eat at one of our awesome restaurants in Dunsmuir. Ask for more info when you check in. Make your reservation online or by phone at (530) 235-2884. 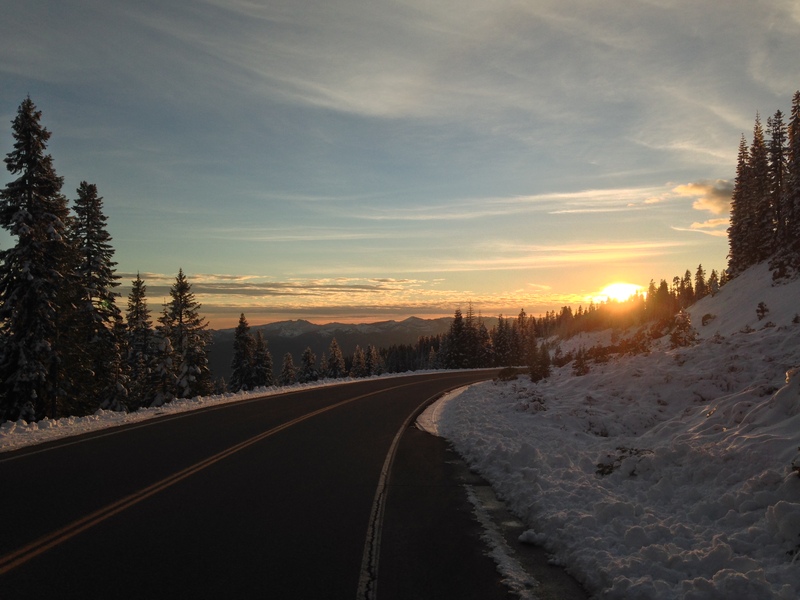 Choose your adventure, whether you like the snow or not, you can still enjoy the outdoors! Snow is on Mount Shasta, but it’s clear roads and clear skies here in Dunsmuir. The Mt. Shasta Ski Park just opened yesterday, and is just a 15 minute drive. 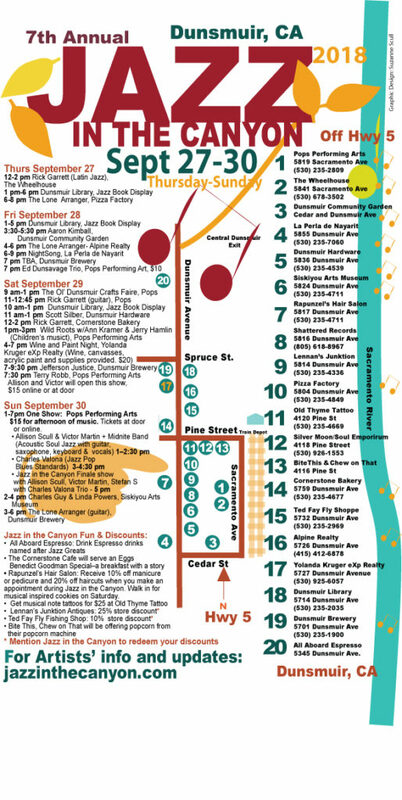 Things to do in and around Dunsmuir. Hiking Castle Crags. This particular hike is especially beautiful in the Winter as it is South Facing and sunnier than most hikes. Cross country skiing at the Nordic Center (right next to our ski park). Deer Creek, Sand Flat and Bunny Flat are all up the Mountain on Everitt Memorial Highway right out of downtown Mt Shasta. (You can rent your own gear in town. Call me at (530) 235-2884 or make a reservation from our website. I’m hoping your fond memories of staying at our family operated lodge will prompt you to tell the world about us! I will even extend your ‘return guest’ discount to anyone you refer- just have them reference your name with their reservations. Mt Shasta Ski Park Opens! Mt. Shasta Ski Park is opening early this year Wednesday December 12th, 2018. Mt. Shasta Ski Park also will also be hosting an opening weekend party with live music at 4 p.m. Dec. 14 and 1 p.m. Dec. 15. 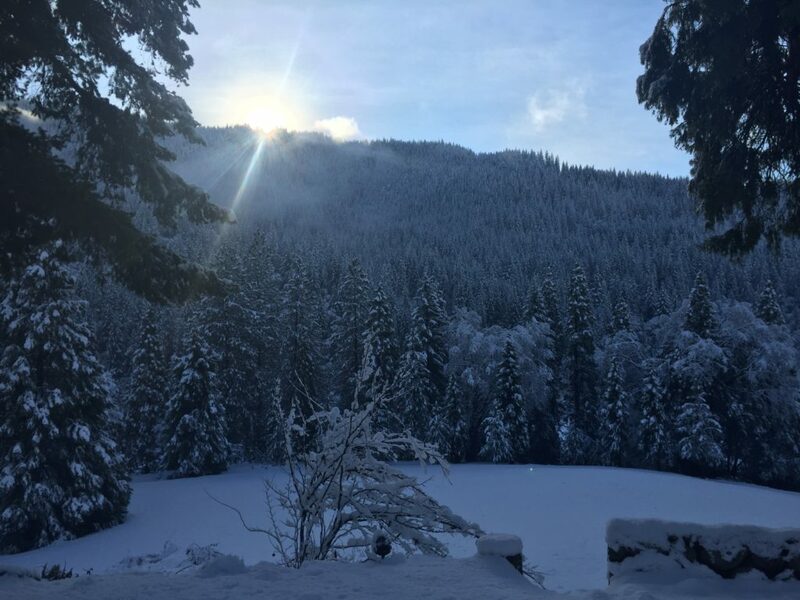 Come enjoy the beautiful scenery and get ready for a white christmas! With a foot at the base, and 38 inches reported at the top of marmot lift, there should be ample soft snow to keep you happy and floating down the hill with ease! 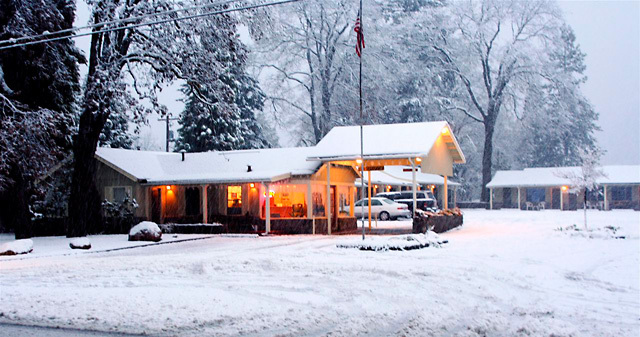 Book directly, or call now to receive discounted rates for fun weekends in the snow! Refer to this post for 15% off three days, or 20% four nights or more. WINTER LIFT TICKET PRICES at Mt. Shasta Ski Park Range from $20-$65/day for lift tickets. Winter ’16; Currently NO snow in town-just on the mountain. The Delta and Hirz fires are under control, but there remains many firefighters on these fires. Cleanup and watching for flareups is a big job, and there are places where the fire is still burning. 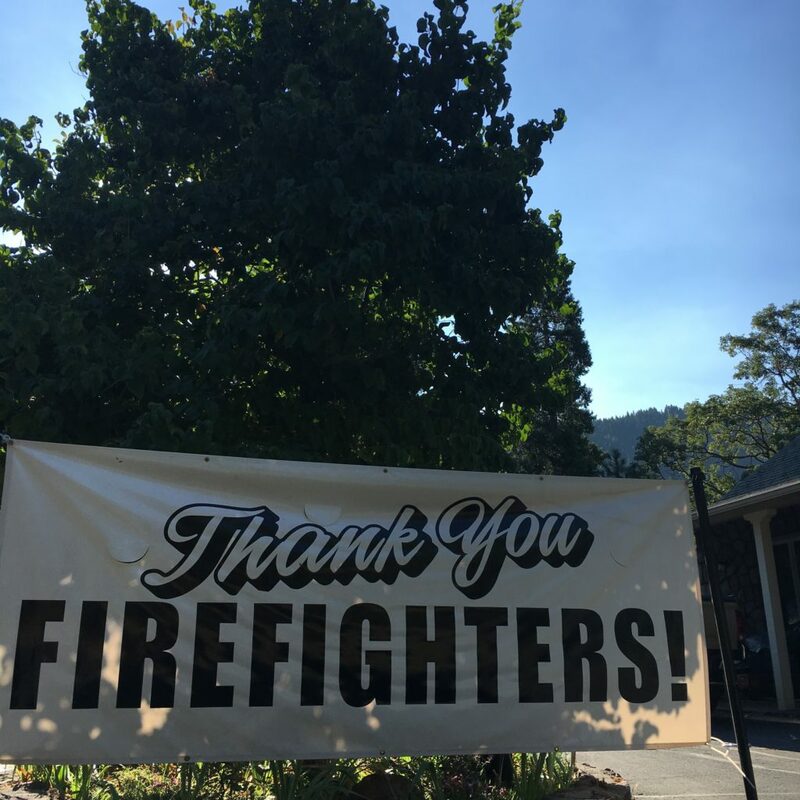 As a ‘thank you’ to everyone involved in stopping the fires, we are offering 25% off all rooms for firefighters and contract workers on site or simply for a night off or two. The smoke is gone… Well not quite, as occasionally the wind blows what’s left of the Carr & Hirz Fires’ smoke up here. Most days are like this now, though. I could see Castle Crags from our parking lot, and it’s nice to be able to breathe easy again. The weather has cooperated, also, we’re seeing highs in the high 80’s the past three days. Fish are biting; I don’t fish myself, but at a recent stop to “eat riverside” at the Dunsmuir City Park & Botanical Gardens, I watched a guy catch one while I was eating. A day later, while showing a guest lower McCloud Falls, we watched six guys walk down and drop lines. Within minutes they were all catching fish of various sizes! It was a great show for my friend who was from Montana, and said that the area reminded her of home. Wanna See A Tesla Dance? I would be surprised and let down at the same time. We didn’t get on the Freeway, instead he pulled over and asked me if I wanted to drive. “Of course I would”, I replied in a more Tesla-esque manner, this time. Redding Fire Evacuees: Park Here If needed. Hi. We are full and getting nonstop calls for rooms. The area’s hotels and campgrounds are pretty full, but you’re welcome to park in our parking lot for the night. There is also ample space to camp if needed (no services). We have soap and hoses to wash up in the morning and wifi for internet, etc. 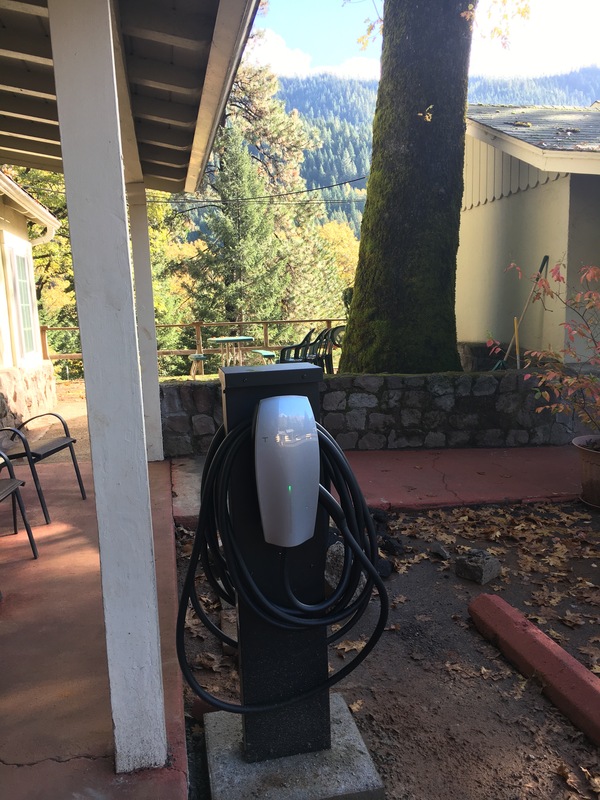 EDIT FRIDAY JULY 27: We are full again; Siskiyou Lake Resort Campground is getting cancellations- so you can check with them, and hotels in mt shasta are showing availability on Expedia and Booking.com. Good luck to all who are evacuated or dealing with loss of their home. Dunsmuir, PCT Trail Town Since Forever. 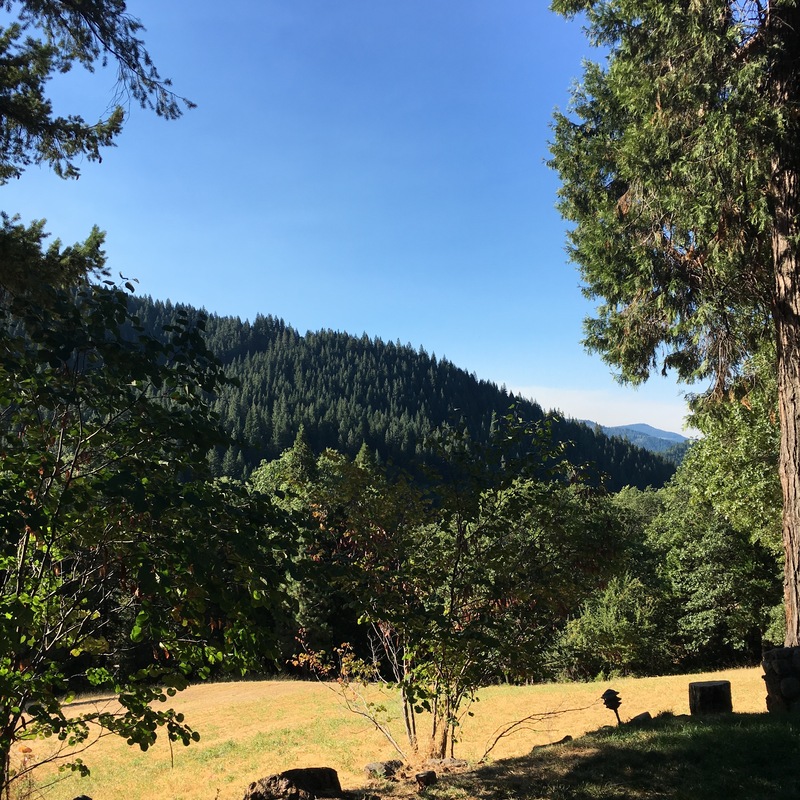 Dunsmuir may not be a designated official “Pacific Crest Trail Town”, but Dunsmuir has been the go-to stop for PCT hikers for a very long time. Dunsmuir, California is close to the trailhead, and many Dunsmuir businesses are quite friendly to PCT hikers; the Dunsmuir Lodge has quietly been serving the needs of PCT hikers since 2005. We will give rides if at all possible. 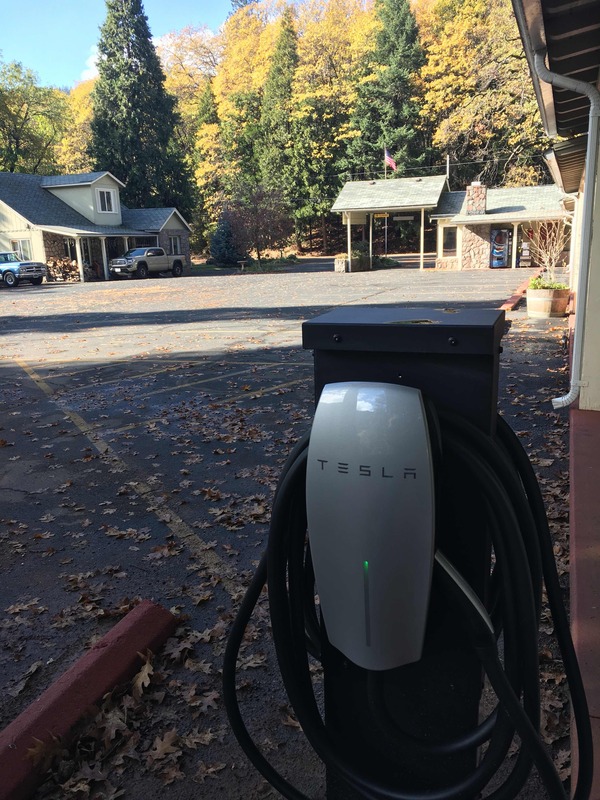 I personally know a few restaurant owners who love to have PCT hikers come in and visit. I am grateful for all the PCT hikers that stay here, dine here and quietly write us up on Guthook and other sites, or even in books. While there are no known PCT reservations on the date of writing, we have had at least one room with hiker(s) every day for 9 days now (yes I count them and repeat guests daily!) 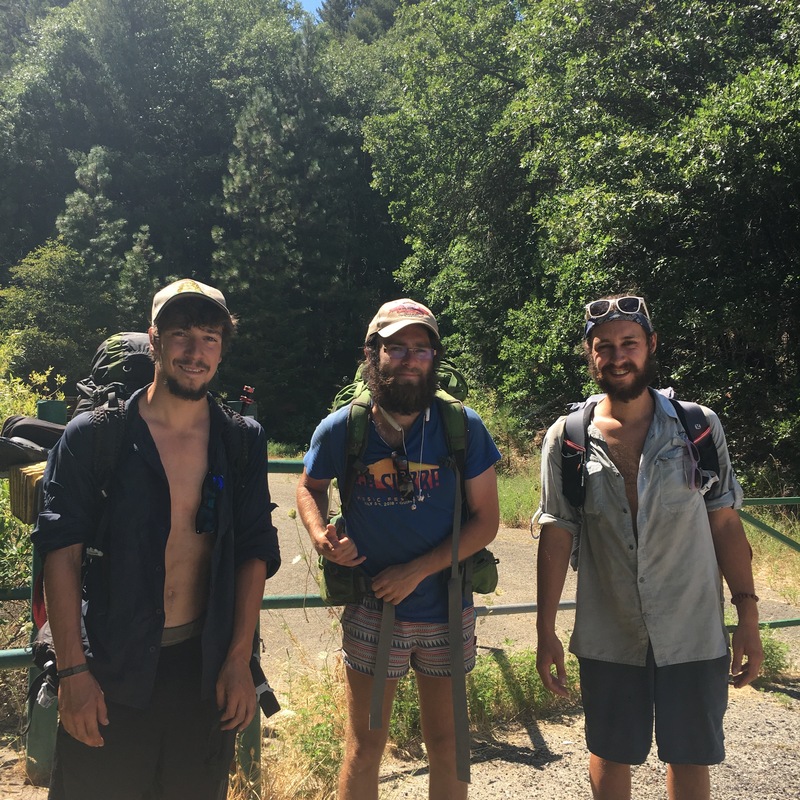 PCT hikers know it’s much easier to get to Dunsmuir for a rest stop. Locals keep up the traditional “trail angel” work of shuttling PCT hikers to and from Ammirati’s Market in Castella-many do-I see and hear about it all the time! 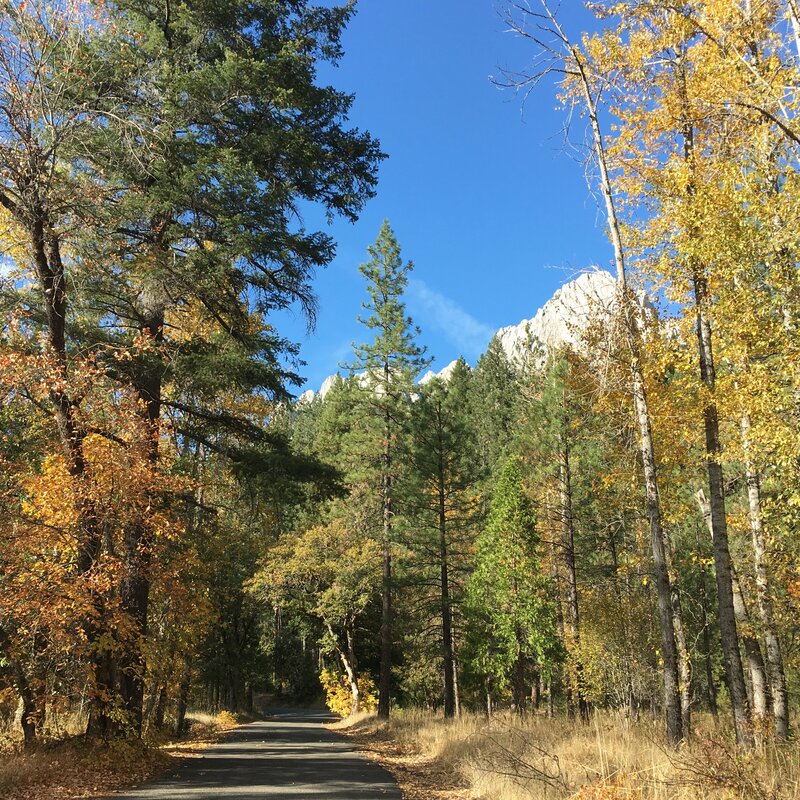 We will keep the natural goodwill and karma going, and PCT hikers will continue to feel welcome in Dunsmuir. Dunsmuir is the type of friendly community that outsiders miss so much from yesteryear.